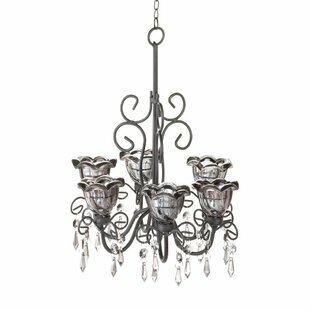 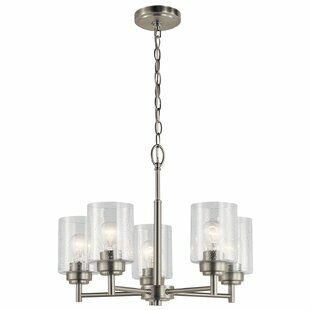 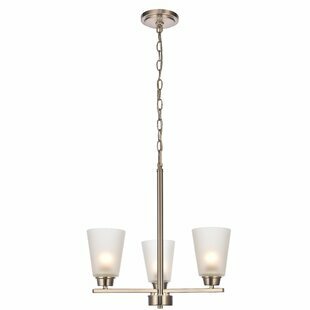 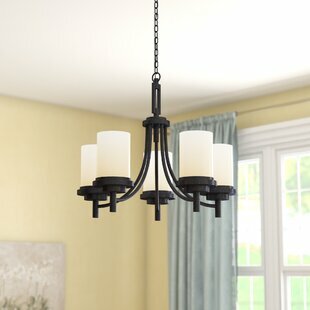 Greet guests with a warm and welcoming glow in the entryway or dress up your kitchen to illuminate dinner parties and family gatherings with this shaded chandelier. 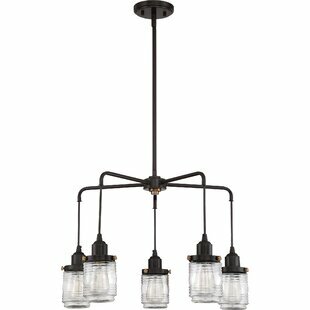 Crafted from metal, its frame displays five lights that can be arranged to face upward or downward, surrounded by cylindrical, clear seeded glass shades. 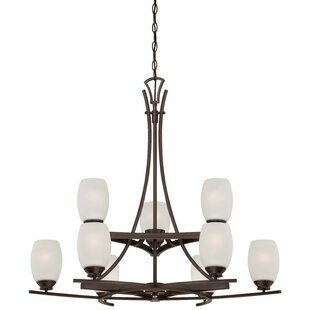 Accommodates bulbs of up to 60 W (not included). 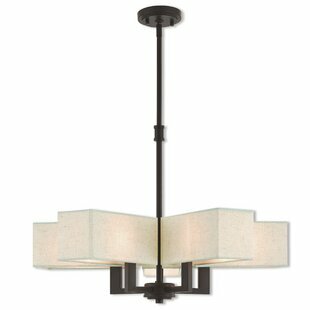 Measures 16 H x 19.75 W x 19.75 D. Assembly and installation are required for this luminary. 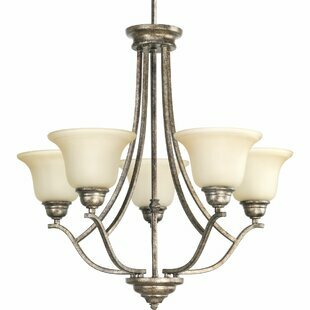 Number of Lights: 5 Fixture Design: Shaded Chandelier Overall Height (Hanging): 54 Fixture: 16 H x 19.75 W x 19.75 D Overall Weight: 9.5lb.